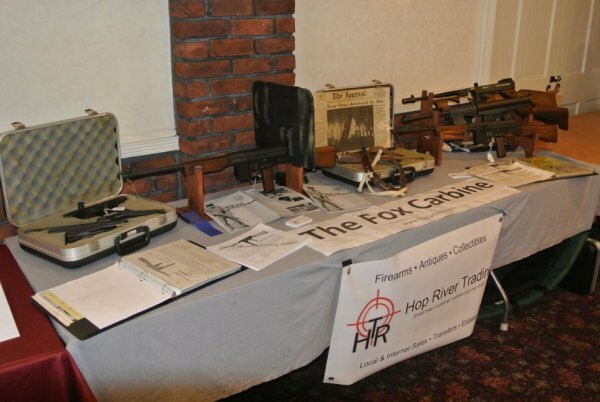 It was our pleasure to bring to the Ye Connecticut Gun Guild November 2015 gun show one of the only collections known of all of the variations of the Fox Carbine along with original documentation retained by one of the former owners of the original TRI-C Corporation, Mr. John Hoover. Thanks to Stephen King, owner of Hop River Trading and www.foxcarbine.com. We were pleased to be accompanied on Saturday by Mr. Hoover along with the former Vice President of Sales for TRI-C Corporation, Mr. Gerry Swiatek. John and Gerry had not seen each other in over 40 years and it turned out to be quite the reunion. We thank them both for taking the time to stop by, meet with the patrons of the show and answer questions about Gerry Fox and the Fox Carbine. 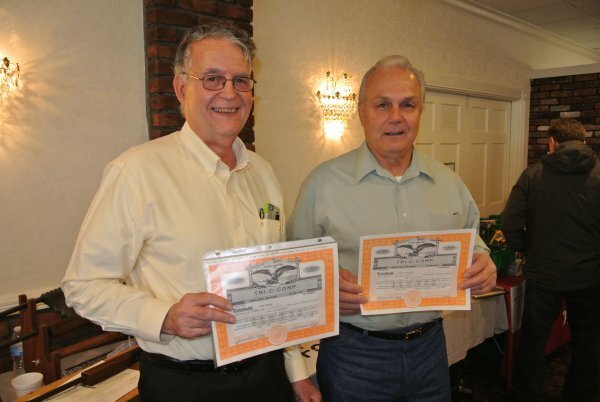 Pictured from left to right holding their original TRI-C stock certificates are John Hoover, former VP of Engineering and Gerry Swiatek, former VP of Sales for the TRI-C Corporation. In May of 1974, Gun World Magazine published an article about the Fox Carbine entitled “New Fox Auto-Carbine For Law Officers”. 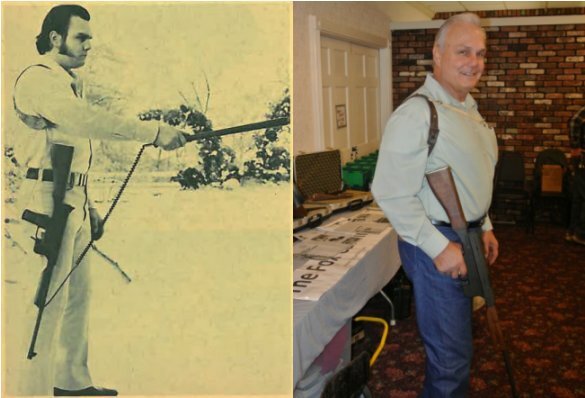 In that article you will find a picture of Gerry Swiatek wielding a baton connected to his shoulder slung Fox Carbine. Below is a copy of that picture. Gerry was nice enough to sling up a Fox once more, some 42 years later after the original picture was taken.